Looking for a new makeup trend to take for a spin? Coordinating your makeup to your outfit is not only fun, it’s pretty much foolproof! Makeup, after all, is part of an overall look, so it makes sense that the elements should be coordinated. 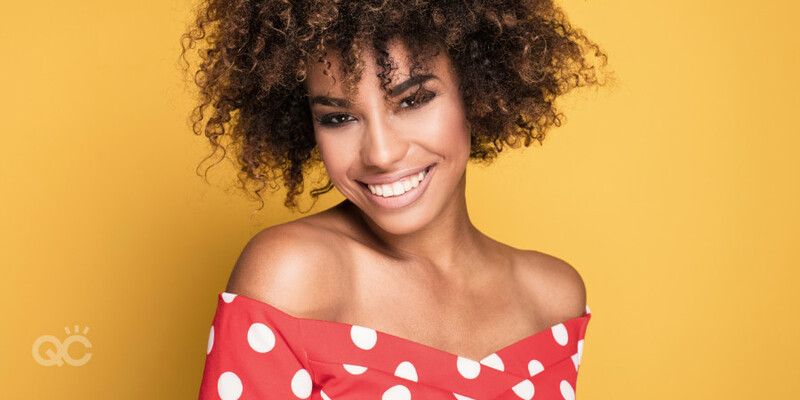 However, like all makeup trends, it can be tempting to go overboard – stick with us as we run through 4 easy rules for matching your makeup to your outfit, and avoid a future faux pas! Now, this isn’t to say that you should steer clear of colorful makeup altogether. That’s not it at all. Just take note of the clothing you’re wearing and if it’s, say, a bright coral dress or top, consider using a light hand to apply blush and lipstick in complementary shades. 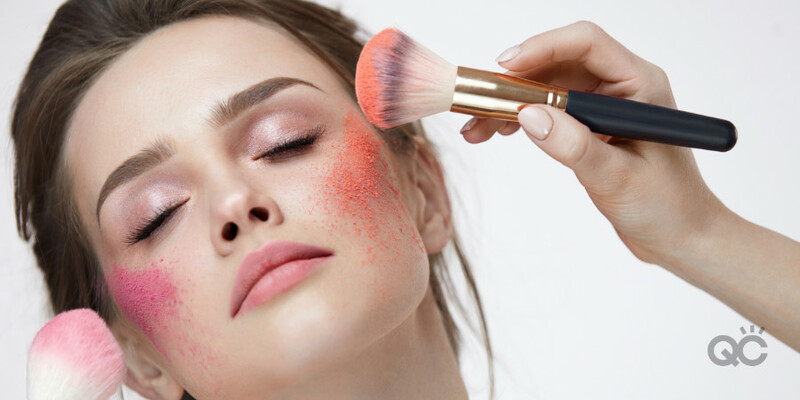 Choose an eyeshadow in a shade that complements coral, and try to stay away from literally matching this element of your makeup to your outfit. It just doesn’t work in quite the same way as lipstick or blush – more on that later! We mentioned earlier that matching your makeup to your outfit is an easy makeup trend to master. While this is true overall, it doesn’t mean that every item of clothing will be easy to match! For example, if you’re matching your lipstick to your dress, you’ll likely have a tricky time not going overboard. Don’t feel bad, though – even the most skilled stylists and makeup artists have a hard time pairing any lipstick color with a dress and keeping the look polished and elegant. No one said working with colors and shades was easy, and it’s especially difficult to properly match a makeup color to a large garment. One way to make sure you avoid a faux pas is by evenly distributing your colors. Consider choosing one of your accessories, such as your shoes or purse, and matching your lipstick or eyeshadow to that particular item. Not only will this save time, as you’ll only be focusing on a small item instead of a full piece of clothing, you’ll also be coordinated in a way that is even more polished than matching your face to your entire outfit. Red purse? No problem – you can easily find a complementary shade for your lips that will tie the outfit together in a very neat way. Need a bit of a refresher on color theory? Take a look at our color cheat sheet, and keep it handy while you plan the coordination of your makeup and outfit! It’s very easy to get carried away when it comes to pulling your makeup and outfit together, but we cannot stress enough how important it is to not go overboard. Don’t be too literal when it comes to matching everything – you want to marry certain colors together and look polished, and that’s fine, but you don’t want to choose two colors and deck yourself out head-to-toe, trust us! As mentioned earlier, focusing on matching your accessories to your makeup is a great way to avoid being too overdone. Also, take a bit of time before planning your makeup and outfit, and decide which feature you want to play up. Maybe you love to experiment with eye shadow and have big, expressive eyes to work with – if this is the case, make them bold and keep your outfit more muted (think darker, less brash colors). If you swear by animal prints, opt for a leopard-print blouse and match your lipstick to another part of your outfit, such as a belt or your earrings. This way, you’ll be using complementary accents instead of being overly matchy. It’s a much better approach! In the makeup world, lipstick will always be a showstopper. Regardless of the shade, lipstick makes a statement, and it’s important to remember this when planning any outfit that you want your makeup to complement. If you’re wearing bold colors, you can safely choose a pink or neutral shade for your lips. 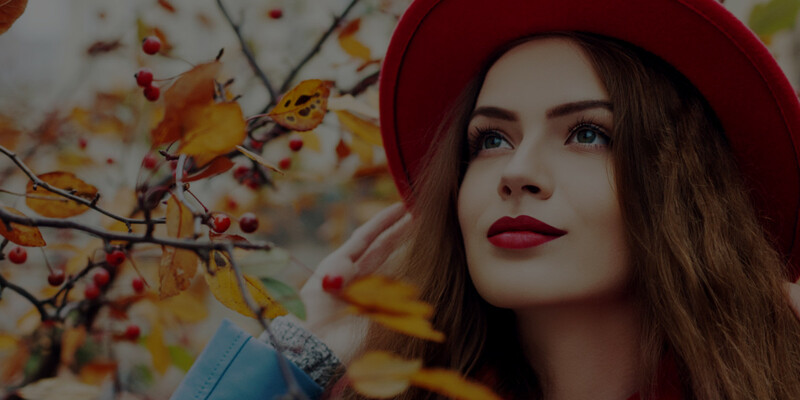 If you’re rocking jeans and a basic top, you can be more liberal with your lipstick choice, and choose a berry, red, or even orange hue to draw attention to. When choosing the right shade of lipstick, keep lipstick finishes in mind, as they will add or detract from the statement you’ve created! Believe us when we say that matching your eye shadow to your outfit is a faux pas. Sorry! While it may not work in the same way as a matching lipstick or blush, there are a few ways to choose the right eye shadow shade to pull an outfit together. Wearing a bold outfit full of color? This is your chance to opt for a gold, soft pink, or beige eye shadow. But eye shadow isn’t the same as lipstick, and you can actually sport a bright color on your eyes if the rest of your outfit is also bright – just make sure it’s a complementary color (and is done with taste!). If you’re keeping your outfit low key with shades of grey or black, this is your opportunity to showcase a smoky eye, and you can even spice it up in shades of plum or brown. It also doesn’t hurt to have a general understanding of which eye shadows work best with certain eye colors, and we recommend doing a bit of research to educate yourself – for example, golds work well with blue eyes while purples are a lovely complement to green eyes. 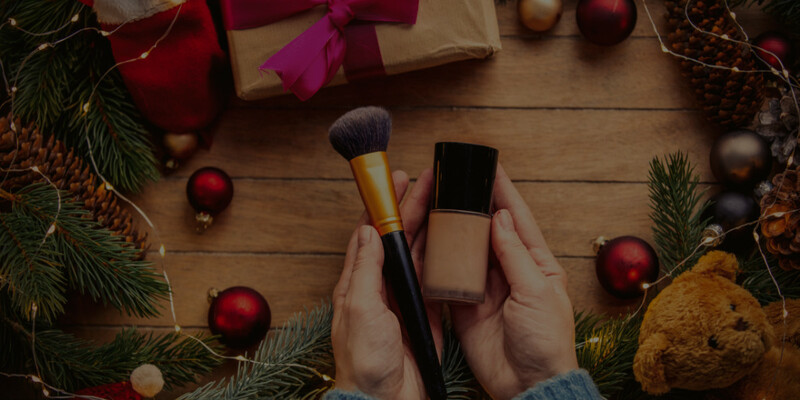 Better yet, enroll in a makeup course and get the full scoop on how colors work, how best to apply eye shadow, and more. You’ll never have to second-guess your makeup choices again! Blush and eye shadow may be applied to two very different parts of the face, but they have similar rules when it comes to matching! As with eye makeup, blush should not be directly matched to clothing. If you don’t know which blush works best with your complexion, take some time to find out. Once you have an understanding of which shades to stick to, you can decide how to pair it with an outfit – the great news is, you don’t have to worry about matching! As long as it suits your skin tone – and isn’t the exact same color as the clothing you’re wearing – you’re in the clear. Thinking about a career in fashion styling? Set yourself up for success with fashion training!